Vector art silhouettes of men, women and children in different situations and poses. 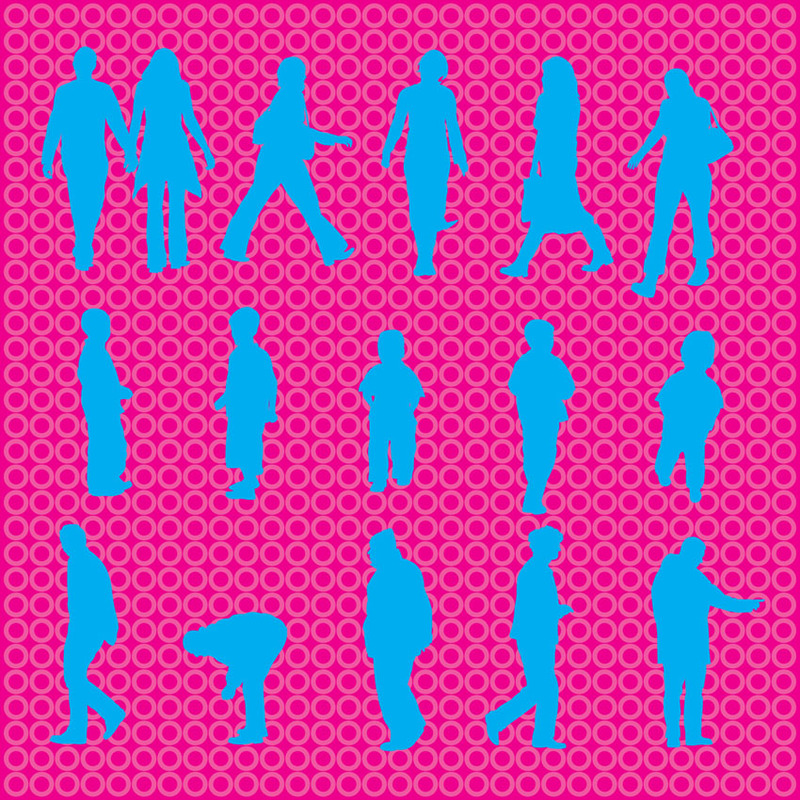 Free vector pack with 15 silhouettes covering several people poses. Active everyday life people silhouettes. 0.